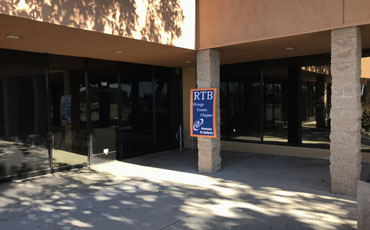 The RTB Orange County, CA Chapter seeks to bring in qualified speakers who bring us up to date on the latest scientific evidences for the Christian faith. Our chapter partners with visiting scholars and trained apologists who provide us with a wealth of apologetic wisdom and experience to draw upon. Our connection with RTB has provided us with access to a microbiologist, an astronomer, a geologist, and a fossil expert. We take advantage of having resources and speakers in our local area and use Skype to bring in speakers who live farther away. We’ve been able to closely examine a Torah scroll, duplicates of human and Neanderthal skull fossils, and various artifacts. Beginning each January, our chapter meets every other month (odd-numbered months) on the second Saturday of the month, from 10:30 AM to 12:30 PM. Announcements of upcoming meetings and pictures of past meetings can be found on our Facebook page. Come join us as we learn about God’s creation and how the latest scientific evidences help us answer questions—both our own and those of the skeptics we encounter. Our goal is to grow closer to God and to each other, and to further develop our abilities to be an apologetic resource for Reasons to Believe.